I have to apologize for the long blogging break, but since Romans is so in-depth, it’s taken me a while to compile this study. I would have preferred to be finished weeks ago, but God had other plans I suppose. The good news is that it’s going to be an incredible study. I’ve always loved Paul’s letter to the Romans and this study has deepened my love for it all the more. Romans teaches us that all have sinned and come short of the glory of God. There is not one that is righteous apart from our Lord. There’s not one that seeketh God; there’s not one that doeth good (Romans 3:11-12). For it is God who seeks and who saves, and it’s only through Him that we find righteousness and peace. 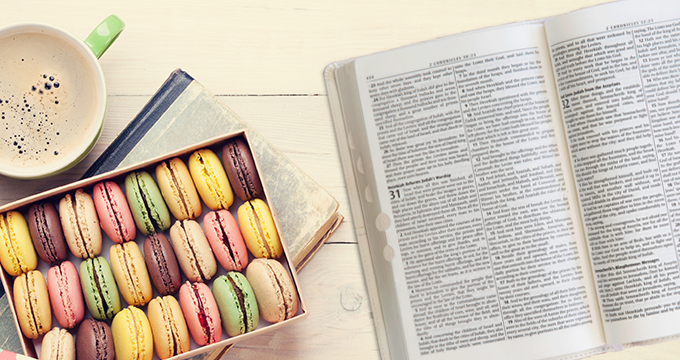 Did you know that the word “God” is mentioned 153 times in the book of Romans? That’s more than any other New Testament book. With a passion to spread the gospel, Paul cuts to the heart of the message by clearly showing us the path to salvation through Jesus Christ, and God’s will for mankind. 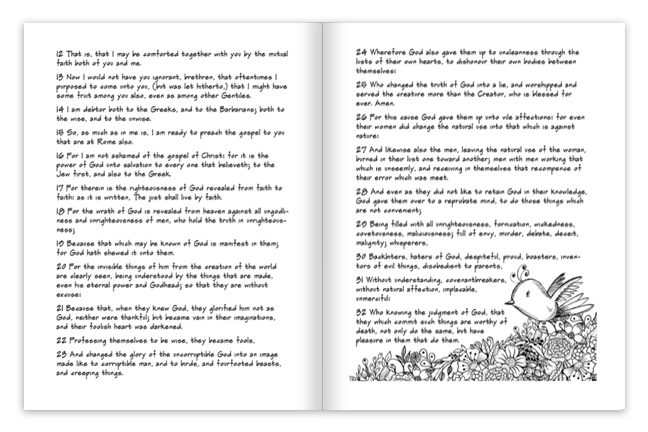 The chronological order of events puts this book within the 20th and 21st chapter of Acts where we see Paul, “determined to sail by Ephesus, because he would not spend the time in Asia: for he hasted, if it were possible for him, to be at Jerusalem the day of Pentecost.” This lines up with Romans 15:25 where Paul writes, “But now I go unto Jerusalem to minister unto the saints.” This was Paul’s third missionary journey. As we make our way through this epistle we see how Paul speaks to both Jews and Gentiles. He warns the Jews not to lean on their lineage, while teaching them to lean on the Lord. He gives the Gentiles a dose of humility, while he cautions them to walk in obedience and to honor the heritage of the Jews who were first to receive the promises and the oracles of God. This letter is inspiring, it’s encouraging, and it’s empowering to all who put their faith in Jesus Christ. The study is five weeks long. 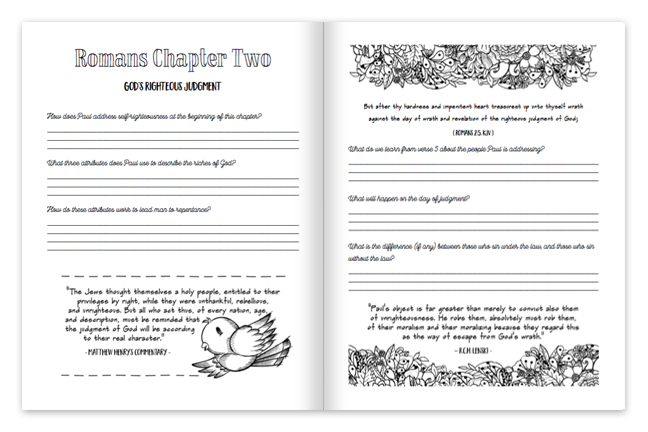 I’ll have a FREE study guide that you can download, as well as printable resources each week throughout the study to encourage you along. The study guide will be right here on May 31st along with a more detailed explanation of the study. We don’t require sign ups for this study, but if you’d like to subscribe to the blog, you can receive email updates so that you don’t miss a post! Click here to subscribe (it’s free!) IMPORTANT: Once you enter your email address, you must confirm by checking your email and clicking the confirmation letter that’s sent to you. The study will run for five consecutive weeks, June 5th to July 7th . But First: Come back here on May 31st for the free study guide. See you then! Hi Timewarp, I’m so excited to start the new study.. God bless your soul for sharing what He gives you. Be extremely blessed! God bless you for sharing your hard work, your time and your talents with us. It is difficult at times to afford decent Bible studies, and you have made it so we can as well. You are truly His servant. Oh, great! I adore Paul and the writings of Paul! Romans is among my favorite books and I refer to it often. Thank you so much for all the time and attention you put into your bible studies. They are so very helpful. As a woman and wife who has been standing for her marriage to be reconciled and family to be restored, your bible studies are a large part of how God continues to give me the strength to breathe, to put one foot in front of the other, to look up to Him and not outward, to hear His voice, and not that of the world; To be still and know that He alone is God and will do what He promised six years ago when He told me five things: Do not fear, stand firm, look to God, be silent, this battle is not mine it is God’s. Can’t wait to start this study. Thank you for your time. I so love all these online bible studies. I feel so blessed to be in an era when they are so readily available. 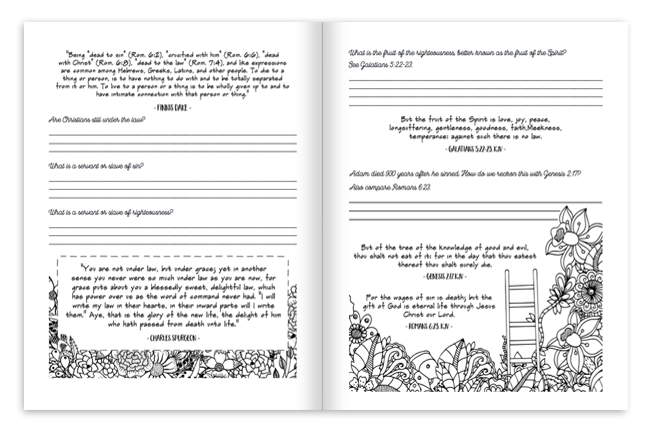 I also do bible journalling. Any chance of there being an easier to read version of your free study guide? I need to more straightforward font to be able to read them. The italic ones you use look so lovely, but I can’t read that type of print. Hi Darlene! God Bless you for all your hard work amd time spent on preparing free Bible Studies for us!! I received my Roman’s Journal yesterday, it is Awesome!! I look forward to Bible Studies with you!! 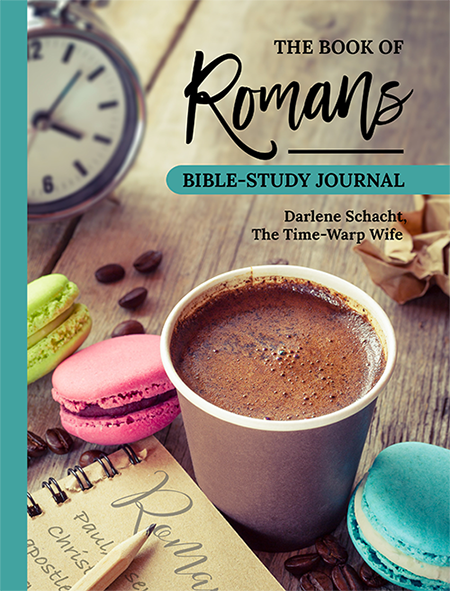 Hello Darlene: I ordered my Romans Bible Study/ Journal this past Saturday and it should arrive tomorrow. Thank you so much for offering these wonderful and very informative Bible Studies for us ladies. May God continue to bless you and your family. I’m so excited about starting the study! Take care and have a Blessed Day. Hi! I can’t wait to start the Bible Study. I already bought the guide in Amazon!